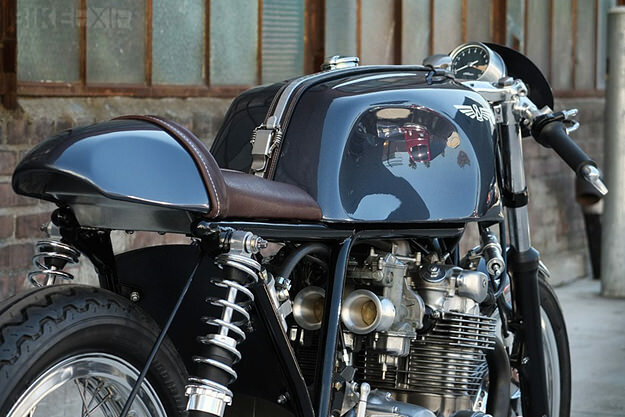 Let’s face it: A 1970s Honda CB is a pretty easy bike to customize. It looks good straight out of the box, and custom parts are a dime-a-dozen. 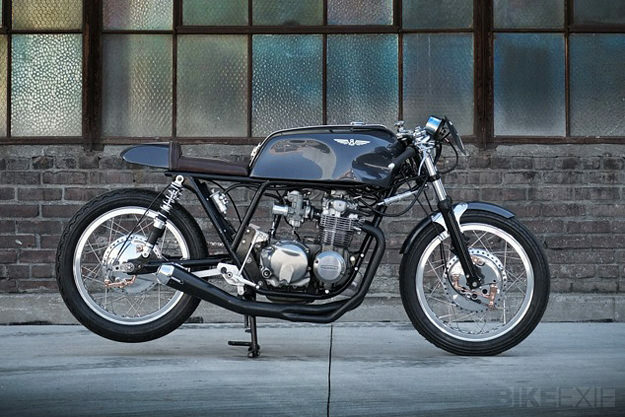 This CB550 from California-based Raccia Motorcycles is something special though. 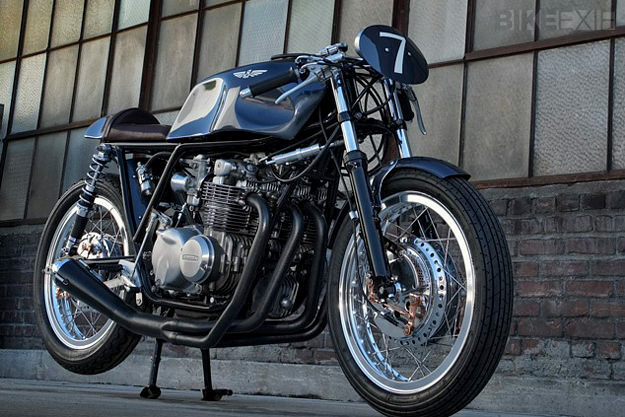 The CB550 was not intended to be a replica, though. (“That is a whole different animal.”) It’s LaFountain’s attempt to create something with a parallel beauty, using parts from Japanese production bikes and altering them to create a look reminiscent of the machines that tore around racetracks forty years ago. The motor has been heavily upgraded. It’s now running a performance cam, oversized pistons, and a ported and polished cylinder head. The wheels are 18” Excel high shouldered aluminum rims, shod with Avon tires. 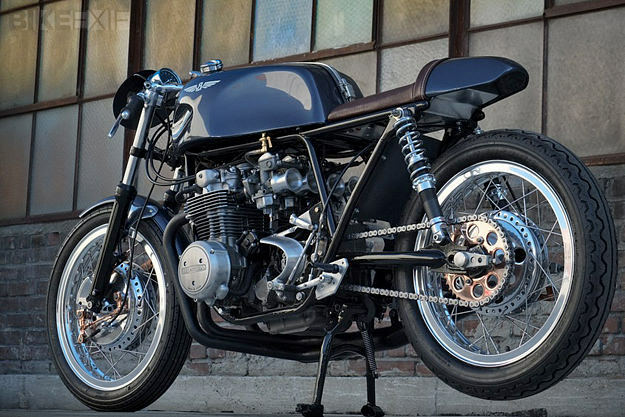 The front end is from a CB750, heavily modified, and matched to Works Performance shocks at the rear. The exquisite rear drum brake started life as a CB77 fitment, but like just about everything else on this machine, it’s also been reworked. 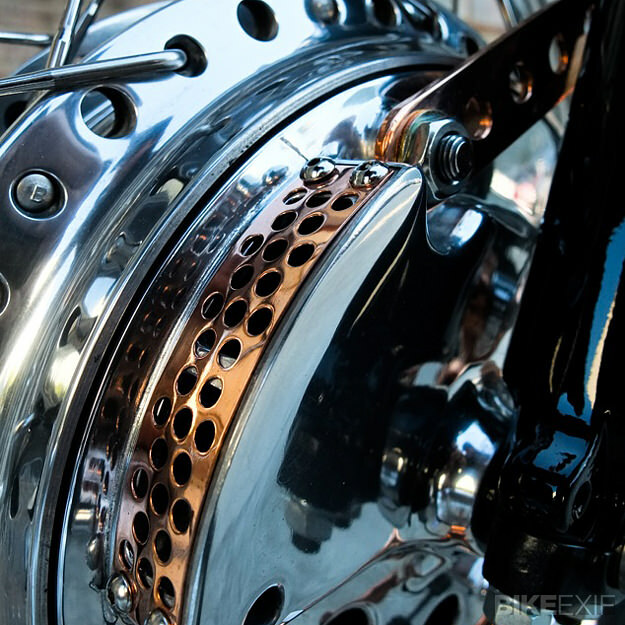 The front brake is from a Suzuki GT750. The beautifully-painted tank is not a Honda item, either—it’s from a Kawasaki KZ1000R. It’s a mix-and-match approach, but due to LaFountain’s unerring eye, it all works. He simply enjoys re-engineering old components and unlocking their potential. Photography by Gustavo Pena. 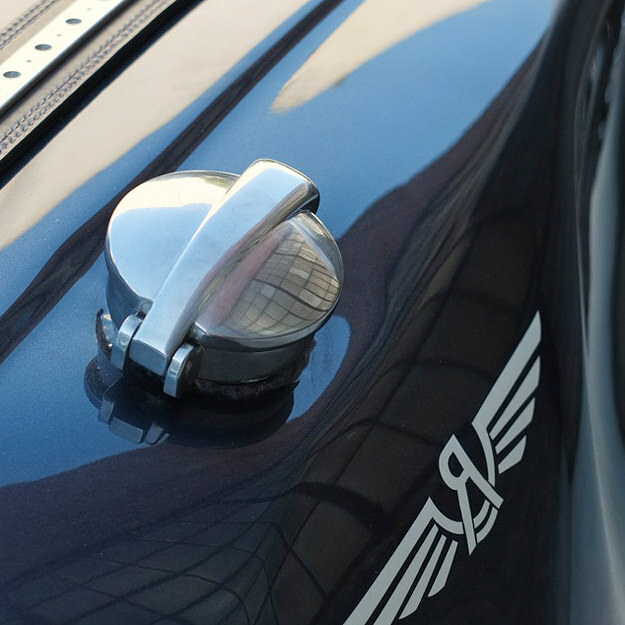 Visit the Raccia Motorcycles website for more of Mike LaFountain’s work, or check our profile of his amazing Triumph TR6 Trophy custom.